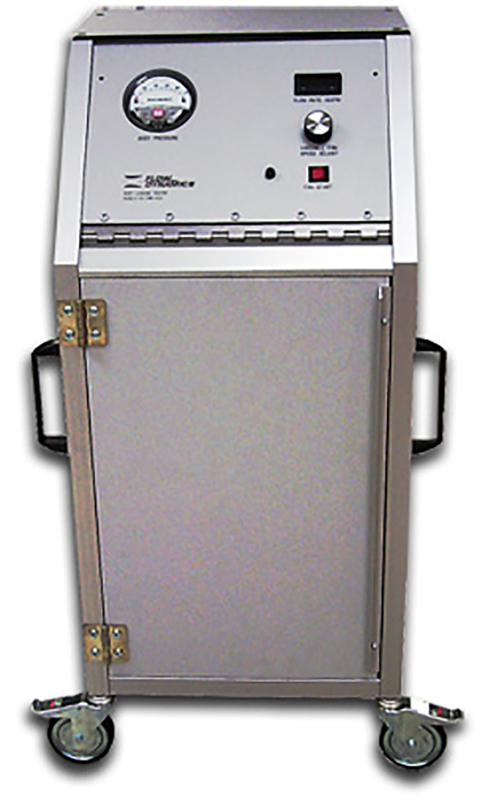 The Flow Dynamics Automotive Body Leakage Tester (BLT) is designed to perform static body air leakage tests on vehicles in assembly plants. This portable, self-contained unit enables automobile manufacturers to test their vehicle designs in accordance with recognized industry standards. The BLT can determine the rate of air leakage into and out of a vehicle cabin under both pressure and vacuum conditions. Additionally, it can be used to test body components such as doors and windows with the use of custom adapters.